I guess the old saying "If you want to hear God laugh, tell him your plans" has some truth to it. And from what I'm learning, this is especially true in business. When I first started Marigold & Grey, I did what every new business owner does and that is to write a business plan. 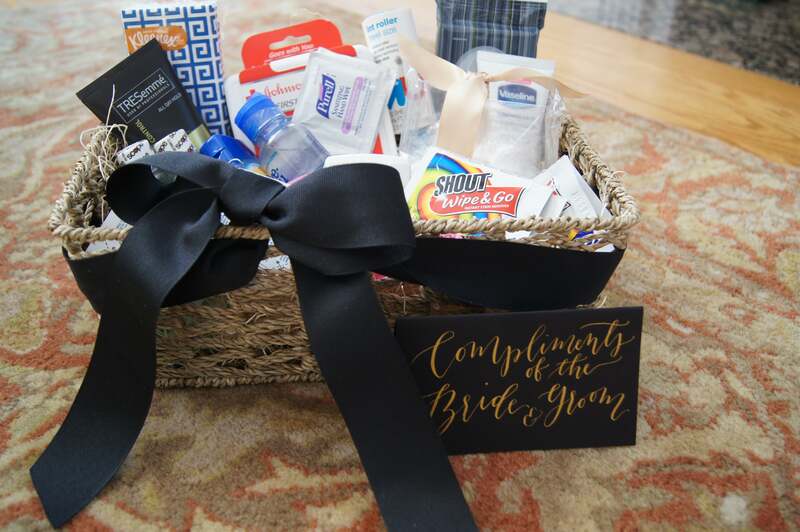 I had my niche decided...wedding welcome gifts! But what you also must do in business is listen to the market, not merely to yourself. 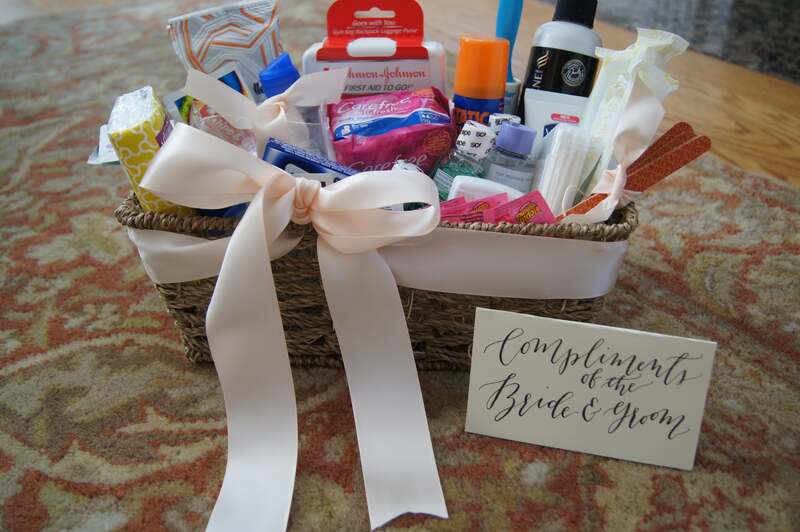 After receiving three different requests for wedding restroom amenity baskets in just one week, it's pretty clear. The market is speaking! With a week's notice and no real prior experience, we delivered our very first custom order to the historic Willard hotel this past weekend for a gorgeous Evoke DC wedding! A huge 'thank you' to Jeannette Tavares for the opportunity! The first basket was for the ladies room. I chose a neutral seagrass basket. 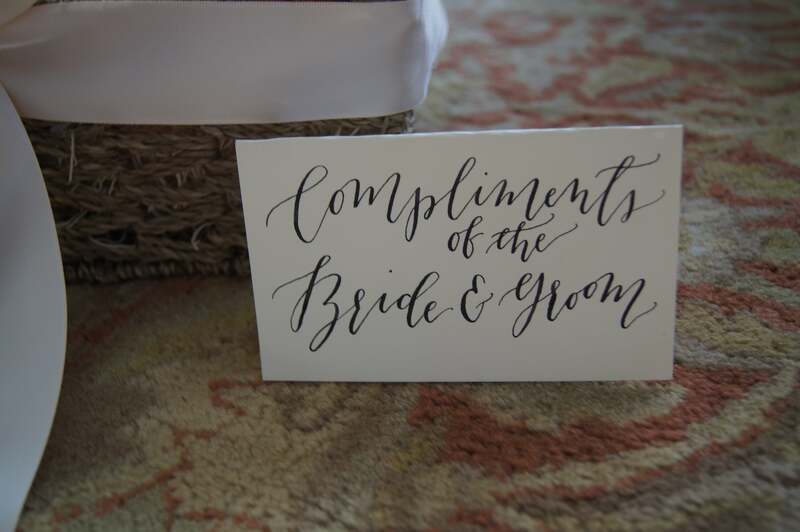 Calligraphy signage by Poppy & Scooter added the perfect finishing touch! 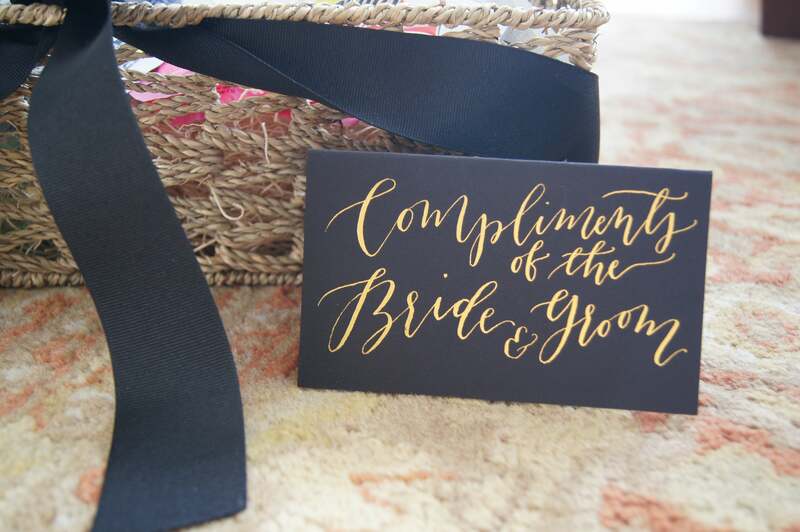 I tied in the classic blush, gold and black color palette by using deluxe satin ribbon in and around the basket as well as the use of black ink lettering. And now for the mens room! 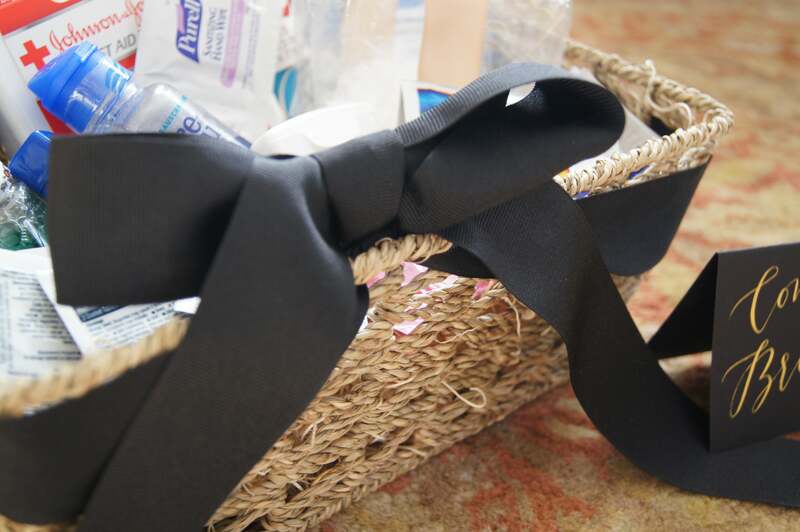 I used the same exact basket but used a more masculine black grosgrain ribbon instead of the soft blush used for the ladies room. I incorporated small amounts of gold satin ribbon inside the basket to coordinate with the overall wedding color palette. Signage was also more masculine. I chose black paper with gold lettering. Be on the lookout for some pre-designed options for restroom amenity baskets! I'll be adding these to the collection in the next few weeks. Of course, we always welcome custom work but these pre-designed baskets will be great if you're in a bind and need a very last-minute solution that still looks amazing.